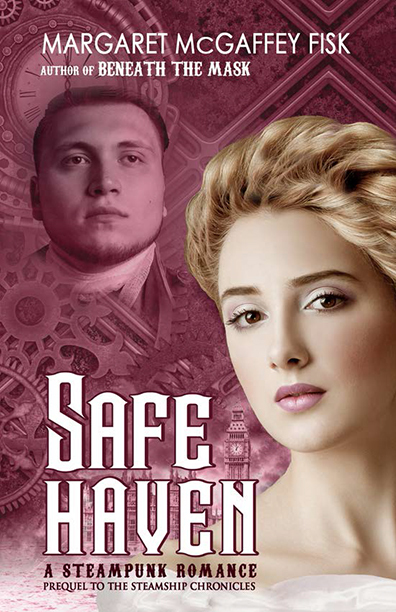 Safe Haven is a sweet romance focusing on a complicated courtship in a steampunk Victorian Era struggling with social conflict and change. Can love overcome harsh reality? In a steam-powered Victorian England, Naturals are those who can make the dreams of mechanical devices come true. Lily Crill hides her Natural sister from cruel laws designed to protect property over people while she figures out their escape to rumored safe havens on the Continent. Falling in love, especially with a dedicated police officer, is not in her plans. Henry Stapleton commits his life to helping commoners, remaining an officer of the law even after inheriting a title. His life seems incomplete, though, until he discovers a caring bakery girl. Then he catches a glimpse of terror in her eyes, and he’s determined to use his skills to ferret out the cause even though Lily spurns his help. Unjust laws and sworn duties threaten to deny what both their hearts and principles would bring together. Can Henry see beyond the rules, and can Lily take the chance with her sister’s life in the balance?